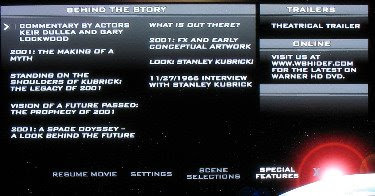 Holy smokes, I watched "2001" on Blu-ray yesterday on this projector and it look A-mazing. So far giant standouts have been "Ratatouille", "3:10 to Yuma" and "2001". Plus the projector is bright enough so you don't have to have a pitch black room. In full sunlight your blacks will vanish, granted, but darken the room a little bit and it's no problem. Of course the darker the better. But holy moly "2001" looked good. That movie is 40 years old. And it still holds up (unlike "Batman" - the Keaton version...). 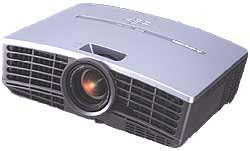 Do yourself a favor, don't buy a big TV for 2 or 3K, get his projector for $699 plus a PS3 and you're in movie heaven. And with the money you saved, go get Blu-ray movies.